ons. The switches use M12 and other circular connectors to ensure tight, robust connections, and guarantee reliable operation in industrial environments where vibration and shock are commonplace. 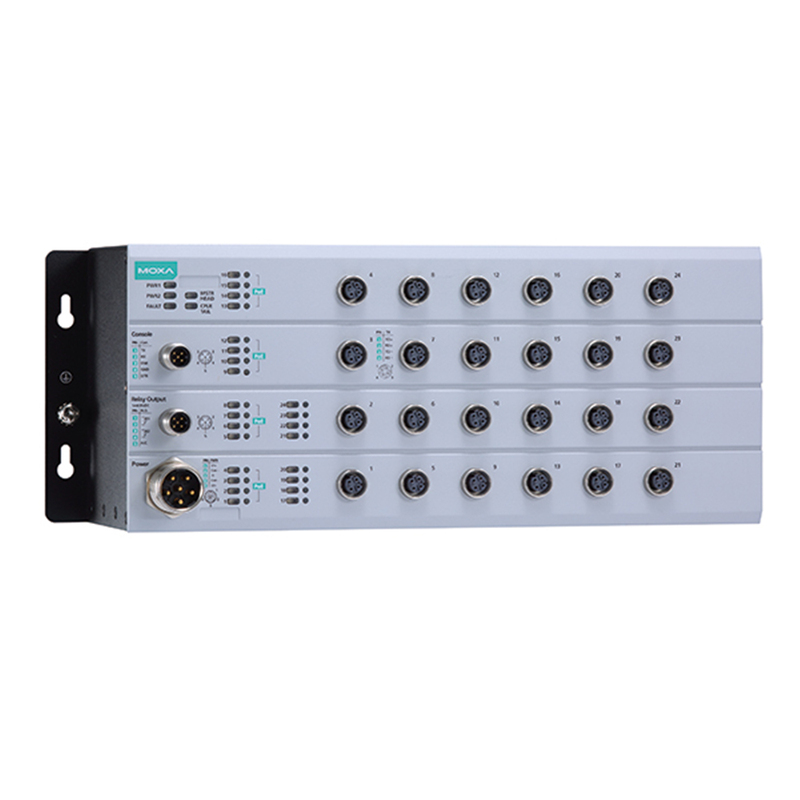 The TN-4524A-16PoE Series Ethernet switches provide 24 fast Ethernet M12 ports with or without IEEE 802.3at/af compliant PoE (Power-overEthernet) function. The PoE switches are classified as power source equipment (PSE); they provide up to 30 watts of power per port, and can be used to power IEEE 802.3at/af compliant powered devices (PDs), such as IP cameras, wireless access points, and IP phones. 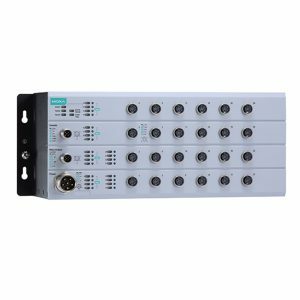 The 24 to 110 VDC wide power input range and isolated dual power inputs not only allow you to use the same type of power source at different sites around the globe, but also increase the reliability of your communications system. Furthermore, the -40 to 75°C operating temperature and IP42-rated enclosure allow deployment in harsh environments. The TN-4524A-16PoE Series Ethernet switches are compliant with mandatory sections of EN 50155, covering operating temperature, power input voltage, surge, ESD, and vibration, as well as conformal coating and power insulation, making the switches suitable for a variety of industrial applications.